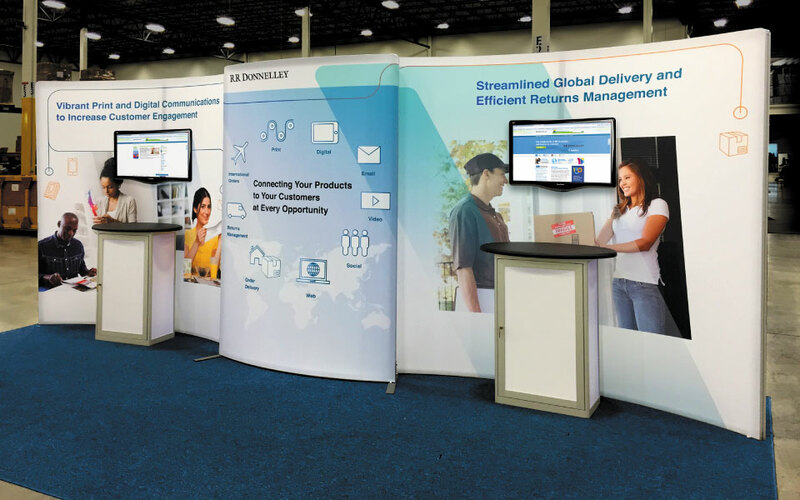 RR Donnelley, a provider of communications solutions, attends multiple trade shows throughout the year. 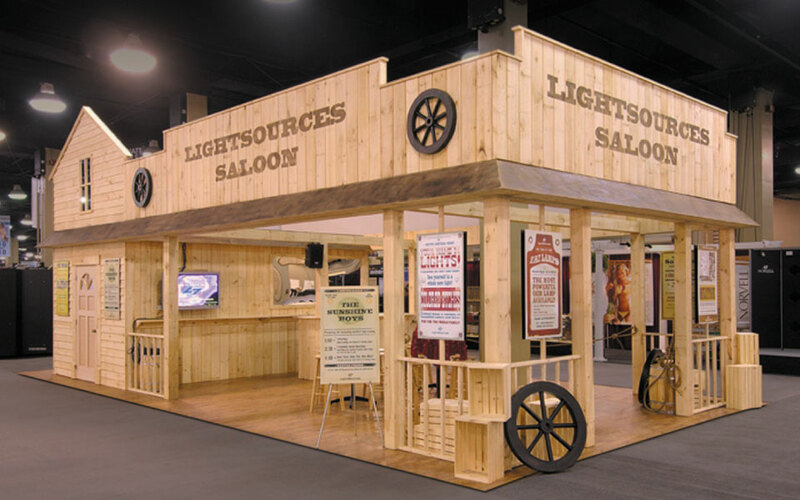 They prefer to use a rental booth solution rather than outright purchasing their exhibiting properties. 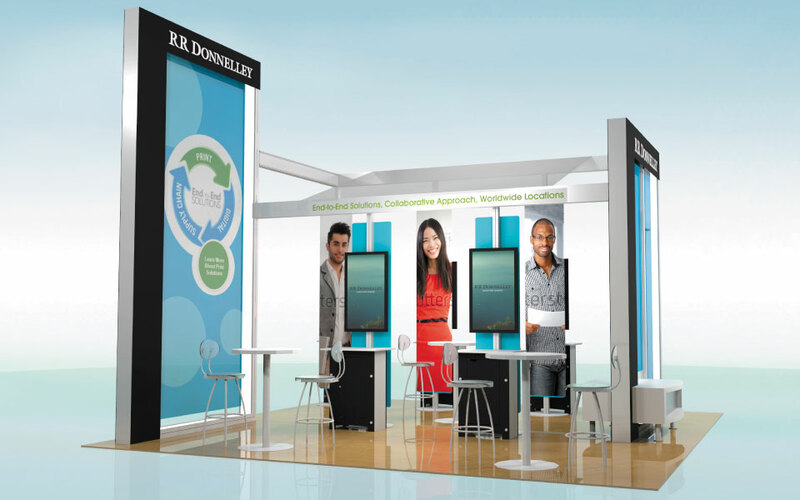 Rental booths give them flexibility to make design changes while adapting to their specific needs at each show. DisplayCraft provided a locally sourced, lightweight 10′ x 20′ rental solution for an event at McCormick Place in Chicago. 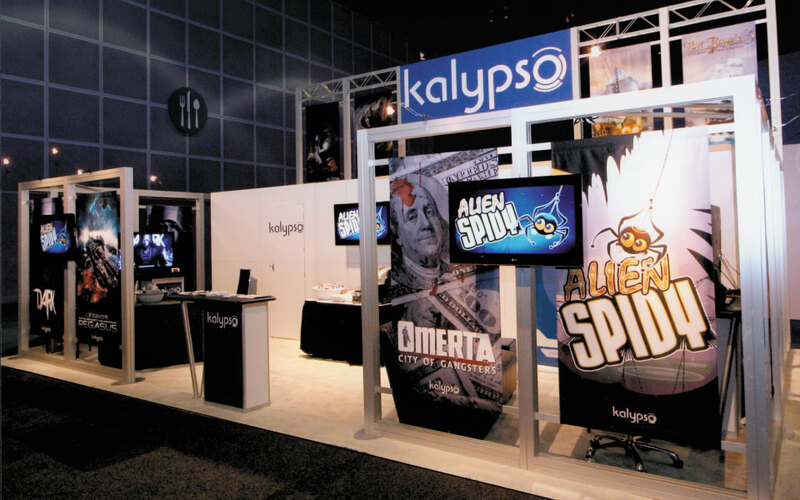 The rental display featured SEG push fit graphics which are an economical, wrinkle free large format graphic solution. Two backwall cabinets provided lockable storage and table surfaces while also integrated wire management for the two touchscreen monitors above. 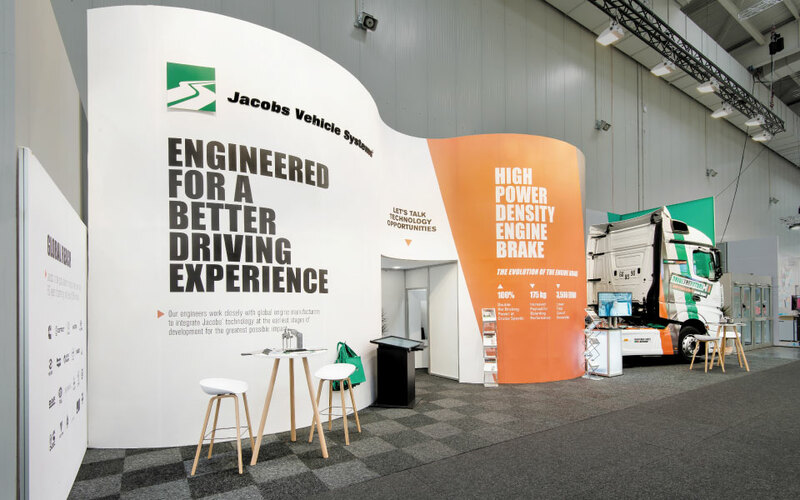 DisplayCraft offers an extensive selection of rental displays in addition to providing complete turnkey trade show services. 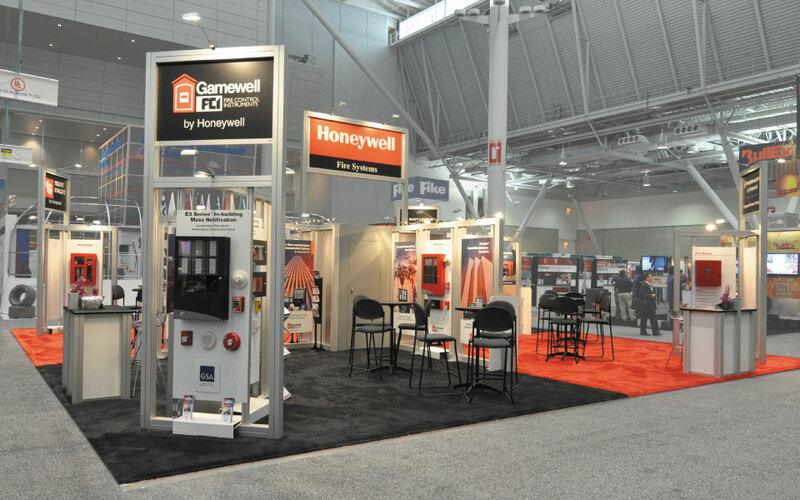 Please contact us for more information on a rental solution for your next show.